Today we live in what Basil Bernstein (2001) describes as a “totally pedagogised society” (TPS), one in which we are trained, primarily through our technological interactions, to be lifelong “learners,” that is to say, flexible “prosumers” (Ritzer & Jurgenson, 2010). This process of what might be called “learnification” (after Biesta, 2004) cannot but affect pedagogy in the classroom and beyond, namely, in those “public pedagogies – spaces, sites, and languages of education and learning [–] that exist outside of the walls of the institution of schools” (Sandlin et al., 2010, p. 1). For the most part, public pedagogy has been conceived in this critical vein: as “a powerful ensemble of ideological and institutional forces whose aim is to produce competitive, self-interested individuals vying for their own material and ideological gain” (Giroux, 2004, p. 497; for a review of the literature, see Hickey-Moody et al., 2010). 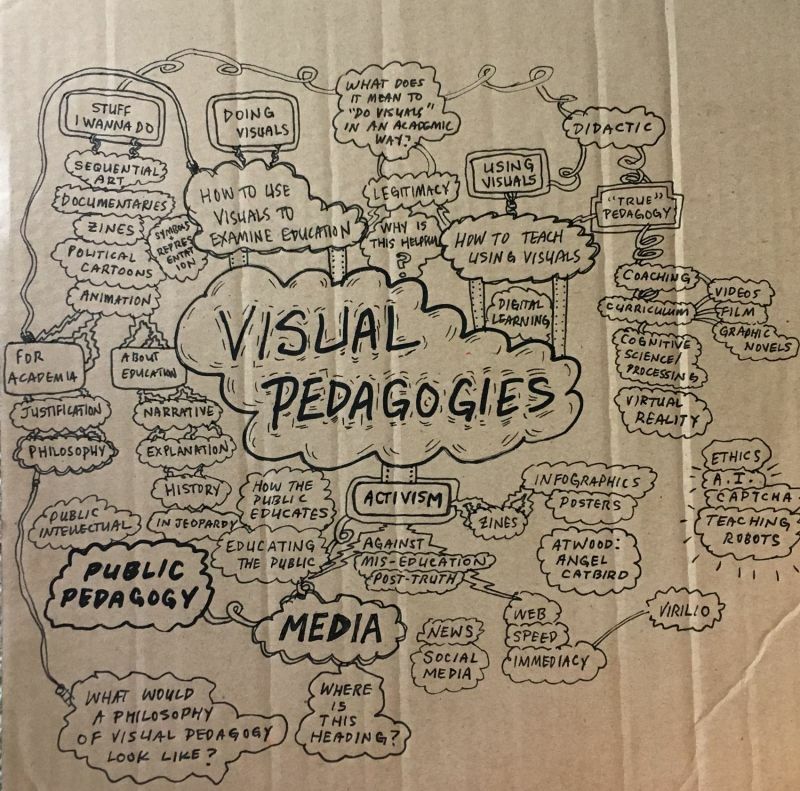 The Association for Visual Pedagogies invite you to explore the role of the visual in public pedagogy, in the critical and constructive modes. Bernstein, B. (2001). From pedagogies to knowledges. In A. M. Morais, I. Neves, B. Davies & H. Daniels (Eds. ), Towards a sociology of pedagogy: The contribution of Basil Bernstein to research (pp. 363–368). New York, NY: Peter Lang. Biesta, G. J. J. (2004). Against learning. Reclaiming a language for education in an age of learning. Nordisk Pedagogik, 23, 70–82. Biesta, G. (2012). 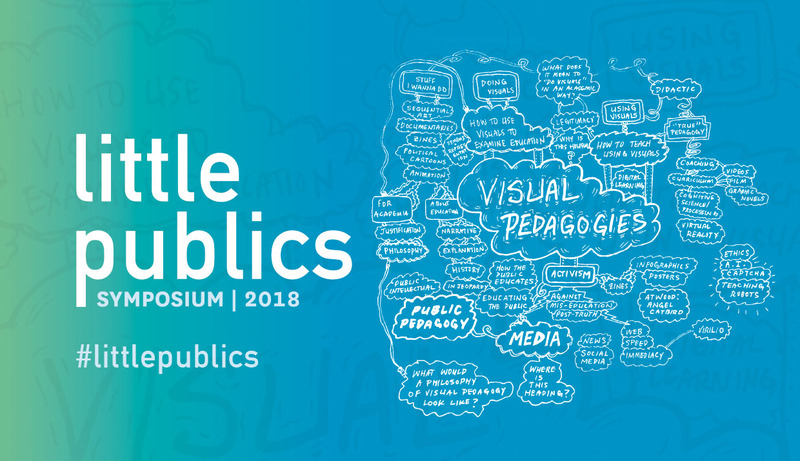 Becoming public: public pedagogy, citizenship and the public sphere. Social & Cultural Geography, 13(7), 683–697. Giroux, H. A. (2004). Public pedagogy and the politics of neo-liberalism: Making the political more pedagogical. Policy Futures in Education, 2(3–4), 494–503. Hickey-Moody, A. (2014). Little public spheres. In J. Burdick, J. A. Sandlin, & M. P. O’Malley (Eds. ), Problematizing public pedagogy (pp. 117–129). New York, NY: Routledge. Hickey-Moody, A., Savage, G. C., & Windle, J. (2010). Pedagogy writ large: Public, popular and cultural pedagogies in motion. Critical Studies in Education, 51(3), 227–236. Ritzer, G. & Jurgenson, N. (2010). Production, consumption, prosumption: The nature of capitalism in the age of the digital “prosumer.” Journal of Consumer Culture, 10(1), 13–36. Sandlin, J. A., Schultz, B. D., & Burdick, J. (Eds.). (2010). Handbook of public pedagogy: Education and learning beyond schooling. New York, NY: Routledge.